The Oriental is bright, lively and even mischievous. 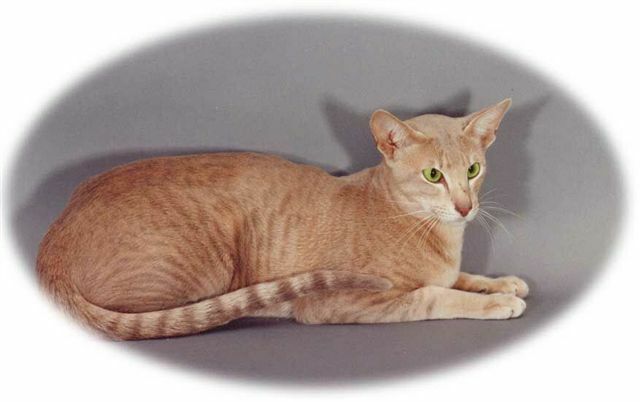 It is also very gentle, a friendly and faithful cat, reputed to be as intelligent as a Siamese. As the Siamese played a very large part in its development as a breed, the Oriental, too, shares many of its personality traits. The FOREIGN WHITE also shares this personality but it is generally a little quieter than the other Siamese type cats.